Blake Lively is obsessed with her “Mrs. R” ring — and we are too! 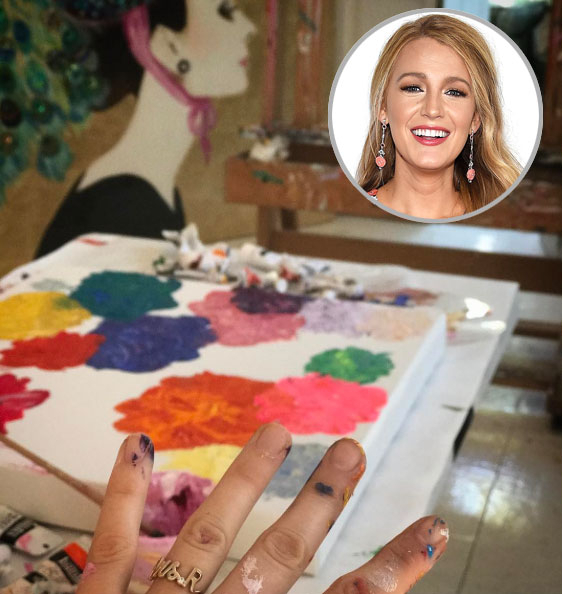 The actress, 29, has been showing off the gold and diamond bauble, which is an ode to her husband, Ryan Reynolds, on her Instagram a lot recently. Interested in owning a customized version of the same piece? It’s available — in lots of varieties! — from jewelry designer Alison Lou. 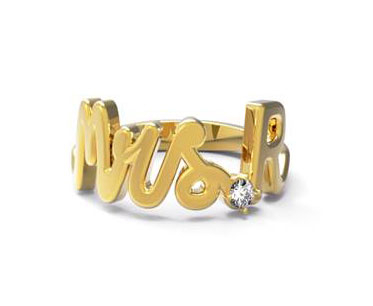 Alison Lou offers the “Mrs.” ring (with any initial, of course!) in gold, rose gold and white gold, with a choice of five stones: white diamond, black diamond, ruby, emerald and sapphire. At $950, it’s a bit pricey but well worth the splurge if love is forever, right?! The mom of James, 2, and Ines, 6 months, has been flaunting the sparkler since last July, when she posted an Instagram shot of her flip-flops on the pavement, which she captioned “Urban Cowgirl.” But all the internet could focus on was her superchic, sweet ring in the corner of the photo. “Oohh your ring! I love it!” one user wrote.